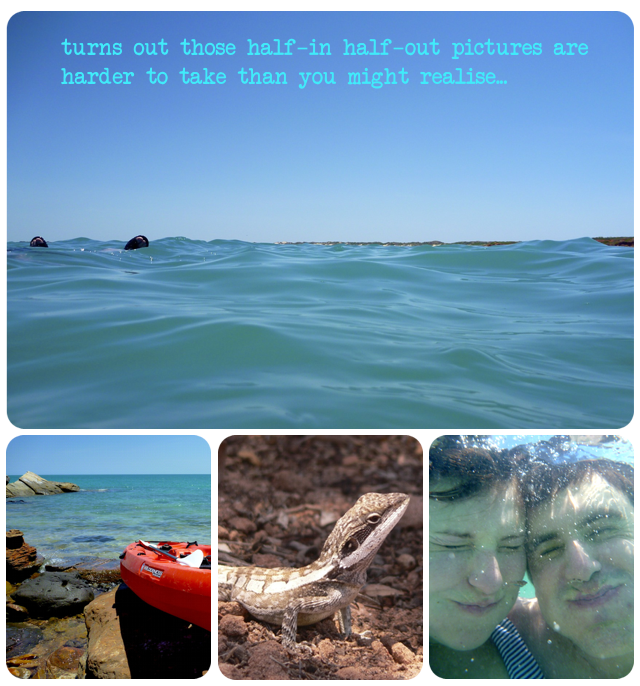 In Broome, I only cared about one thing. I was paranoid that Rob, with his short attention span, would become bored and therefore painful to be around, and so I became fixated on finding activities that would keep him occupied. I became obsessed with the idea that there would be sea-kayaking. I was pumped and ready, and not yet driven to distraction by the 154 mosquito bites that were to come later in the week,* and I was going to see me some turtles. But they didn't say how fast those little fuckers move. Time after time, someone would shout, pointing with their paddle, "TURTLE", and I would spin, searching the waterline for some dark, fast-moving turtle-like blob. Rob would gesture with his paddle, "there, THERE, quick, at 3 o'clock!" and I would swivel, eyes darting wildly, before inevitably, "..oh... no he's gone now." After about an hour on the water I thought I spotted one, almost shouting and gesturing before my eyes came into focus and I realised it was a particularly fast-moving piece of seaweed. If you want things too badly you can only be disappointed. 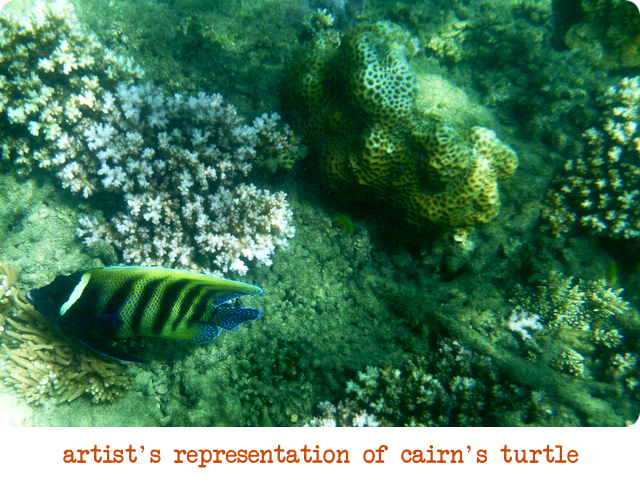 A year later, snorkelling with my brother in Cairns, we saw a turtle. A big green sea turtle. We floated above him and he ignored us for a full 5 seconds before going on his way. And then to bring it all full circle, my camera sprung a leak, and thus ended the epoch.